and the relevant departments of government. guidance on further increase of SME credit support. pre-determined criterion before they take a further step. profitability and fu ture grow th and developmen t po ten tial. 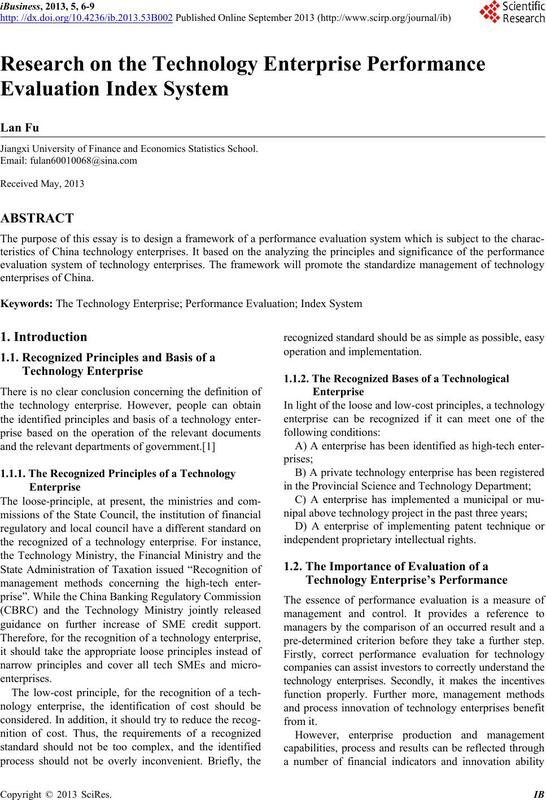 performance evaluation of the technological enterprises. and thus gain an advantage in the market competition. standardized production according to customer demand. obtain business growth through emphasizing innovation. must reflect the unique characteristics of the enterprise. dge assets contribution is vague and difficult to quantify. be used to evaluate these aspects. provided may be inaccurate, untimely and not objective. be as required according to the user's heart design. mation for managers operating decisions. and communications industry, with full representation. which can quantify the impact factors of performance. tors to adapt its complex characteristics. mation. Then it composes a new composite indicator. on the basis of loss or less loss. self and is an objective evaluat i on of t he weight i ng method. results more objective and fair. 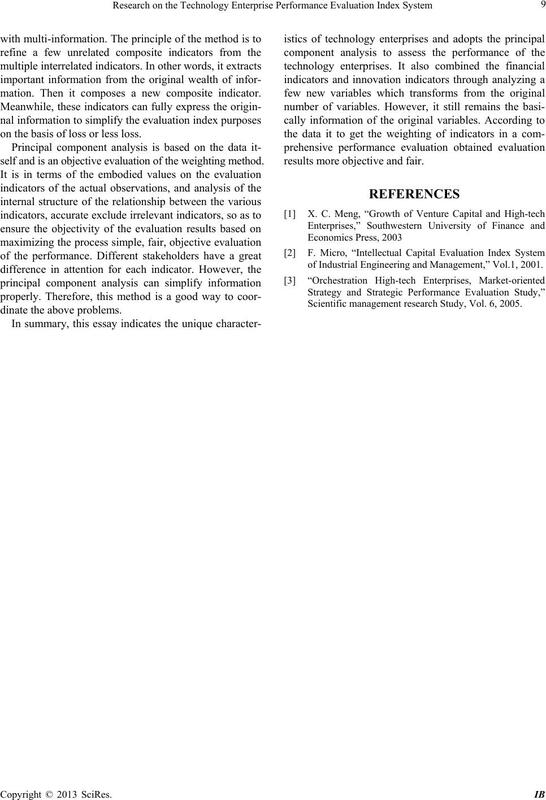 of Industrial Engineering and Management,” Vol.1, 2001. 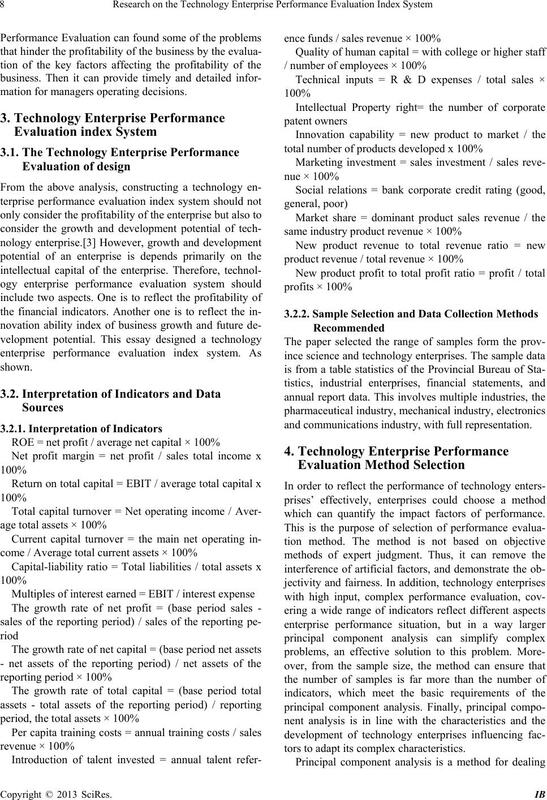 Scientific management research Study, Vol. 6, 2005.